Various functions assuring higher productivity. Regular checks of the nozzle are important to ensure that the device can print high-quality images through stable, continuous operation. The JV300 includes an automatic cleaning function that gets activated when a problem occurs. 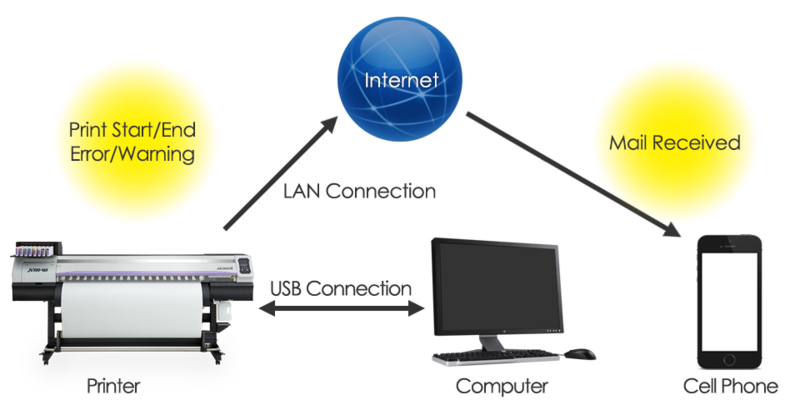 This JV300 also includes a function that sends an E-mail to report actions in real time such as the occurrence of errors and the completion of a print. Clogged nozzles are automatically detected by monitoring ink droplets with sensors. When clogged nozzles are found, the nozzles are automatically cleaned. A print operation will not be continued with missed nozzle print status. *1 This service will be available in October 2014. Nozzle recovery system (NRS) reduces downtime. When clogged nozzles are not cleared during maintenance, there is no need to stop printing. The operation continuously uses only good nozzles by registering clogged nozzles to the system. Register the number of defective nozzles. Registered nozzles are not used for printing. Other good nozzles are used. Up to 10 defective nozzles are registered per 1 nozzle line. 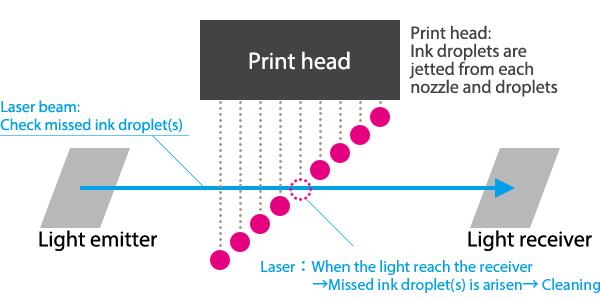 This function has no effect on print speed unless the print mode is changed. 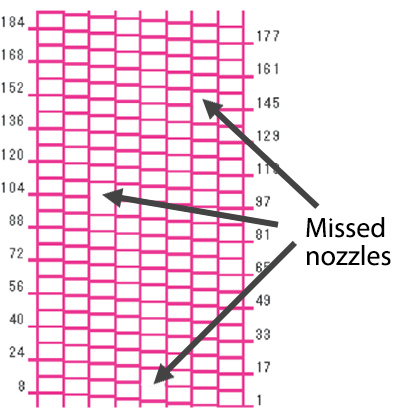 Depending on nozzle status, some problems cannot be solved by NRS. When using the minimum number of print passes, nozzle recovery is not activated. NRS would not be activated when MAPS3 is activated. Print operation is continued by NRS.